Thank you for your interest in our school. We have a few slots remaining for the 2018-2019 school year, and are currently enrolling for the 2019-2020 school year. We encourage all prospective families to begin by filling out our admission interest form and scheduling a tour/attending an upcoming open house. To be placed on a waitlist for 2020-2021 enrollment, please fill out and submit an application (see step 3). Please see enrollment deadlines below for 2019-2020 school year. 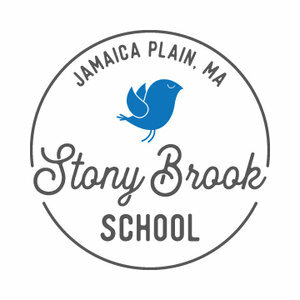 Please give us a call at 617.990.6453 or send an email to: info@stonybrooklearning.com to schedule a private tour. After a family has visited our school, we invite you to fill out and submit the New Student Application, along with the $50 application fee. Applications will be considered on a rolling basis until all slots are filled for the school year. Should space not be available, all applicants will automatically be added to our waitlist. Please fill out and submit a New Student Application if you would like to be placed on our waitlist for subsequent school years. Admissions decisions are made no later than 15 days after our application deadline. Once your child has been accepted, a signed parent contract and the first deposit installment ($500) is due within 10 days to confirm acceptance. The remaining deposit balance equal to the amount of one months tuition (less $500) is due by May 1, 2019 to reserve your child's slot for the school year. All deposit payments are non-refundable, and will be applied to the last month's tuition of the academic school year. All families must fill out and return all enrollment forms before attending our program.